Full package includes models, with the agreement of their creators. 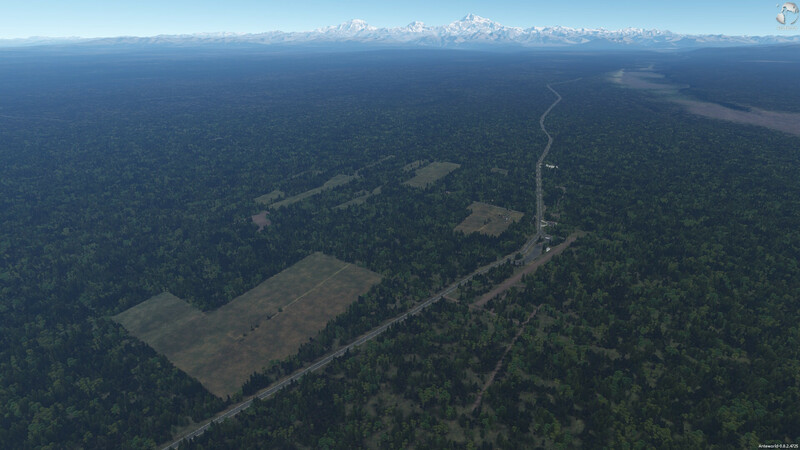 This is a work-in-progress test scenery on Alaska. Ted Stevens, with a fairly low detail level. 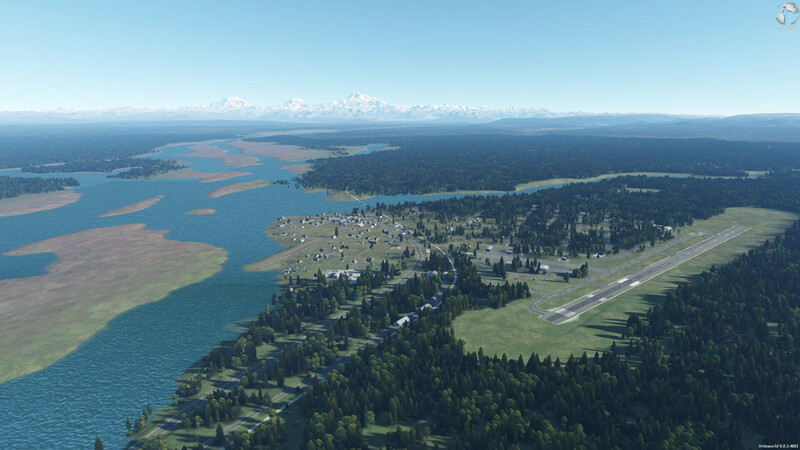 No surroundings, only the runways and taxiways layout and some placeholder buildings. I have created this basic airport for Levi's A380. Since Anchorage is a very dense scenery, working on it with current tools will be really hard so I'm just gonna keep this basic version for big airliners, and will focus on smaller density airports. Talkeetna is one of these. More detailed, located in a fairly nice landscape, not far away from Denali park. There is a lot of smaller airstrips around this airport. I have started to create this scene mostly because I was under the impression that, without human made landmarks, it was really hard to get a true perspective of distances in Outerra. 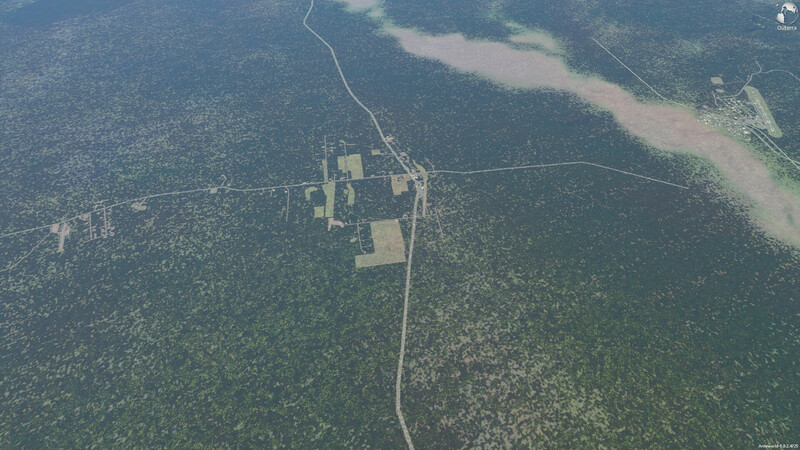 The engine only allow for the moment creation of roads and buildings placement. 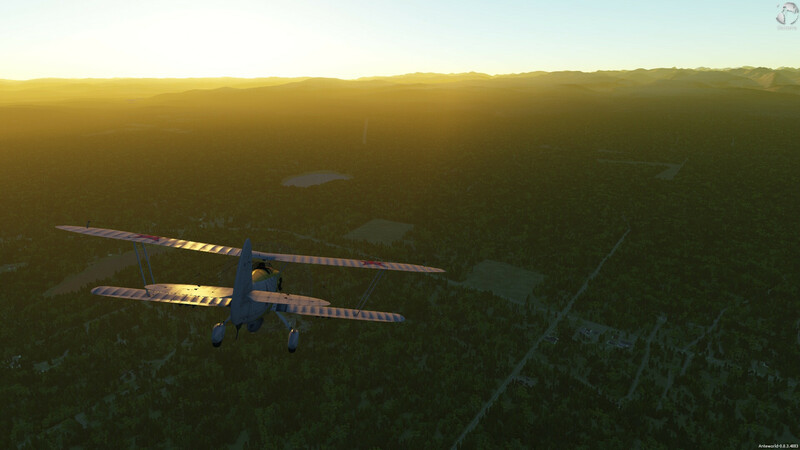 There is no terrain modification tool, no possibility to modify the vegetation distribution. Everything is hand made. As a result, you can expect a more accurate rendition of this area than you can have with any autogen system. 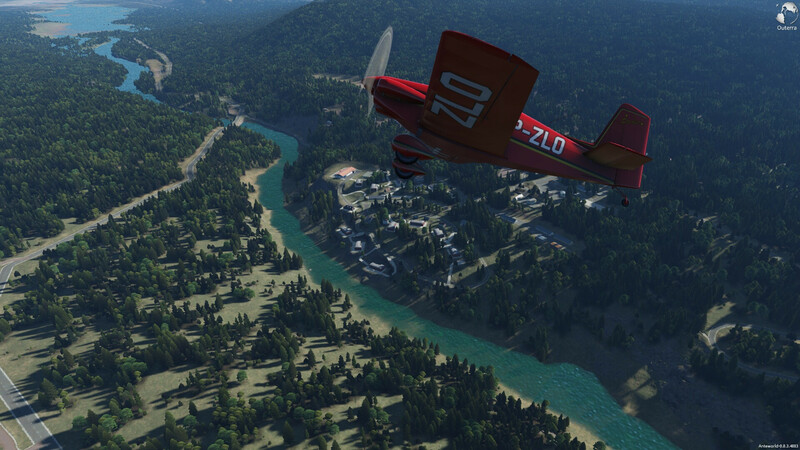 Even limited, the current tools are extremly powerful : Ted Stevens scenery was made in less than 3 hours. I hope you will enjoy it, this is a work in progress and updates will come! The .otx file is an auto-installer for Outerra mods. Please note that the included cache folder will erase all roads and object placement you may have done in this specific area of the world. Files included are : cache/earth/object/+z/11, 12 and 13. I included a map in the .zip wich show what region of the world is modified. I strongly recommend to make a backup of you own cache/earth folder before installing this scenery. 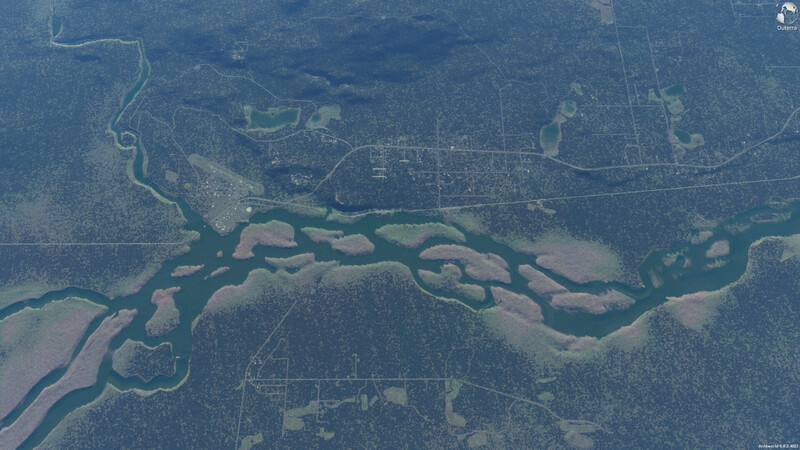 I will try to update this scene when I have time, so I don't recommend you to add your own roads in this region, any new update using my cache will erase them. This folder only contains roads data and buildings position data. It does not however, come with these buildings. I have listed below all the models used in this scene. You can install them and thanks their creators . Most of the models use the .otx format. You just need to click on the file, follow the instructions and the content will be installed in the proper location. If you load the scenery without having installed these buildings, the console will pop-up and show a wild number of red errors (and these models won't be here, of course). You can close the console using the "p" key. Even with all the models installed, you will still get errors messages, from a broken model. This is gonna be corrected in the future. Most used models are in bold. KW71 water mesh should be considered as mandatory for this scene. ProfessorX package is no longer required. Several new Rudeboy's buildings and objects. I have also updated and fixed some of the airport roads. Note: tree were not removed in some water area. Too much work for a temporary solution. You placed a lot of roads there! especially around Talkeetna airport! very nice job! I will probably post an update today. 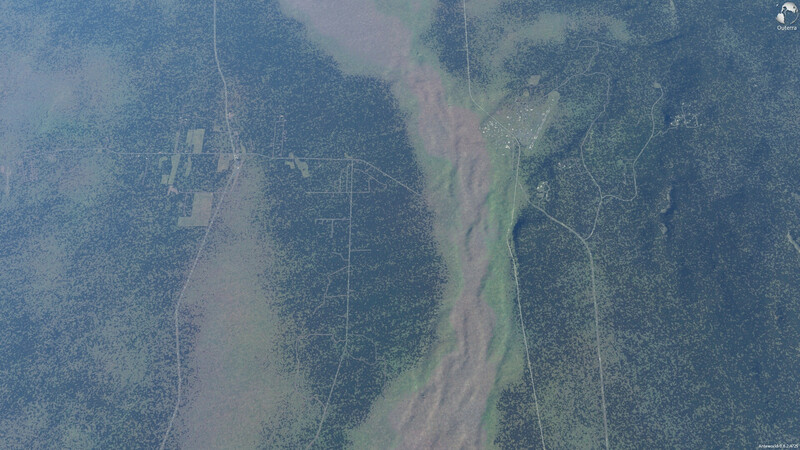 It will improve the Talkeetna buildings density and add a whole area in the west side of the river (well, the river bed ). Mostly farms, fields and a small airstrip! That's some very nice and detailed work! It does point out the need for better tools in Outerra though, like maybe some flattening brushes, tree brushes, road merging tools, etc. 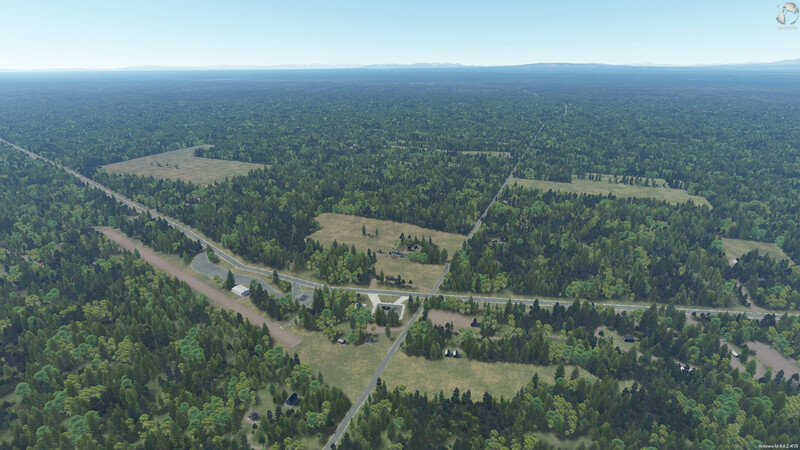 Improved roads and additional buildings. Added a few missing locations at the east of the city. Looking at the pic, it looks like the path to the object is not correct with that way of installing. Awesome work! and so much patience considering the available tools! It seems that none of the other packages (NewS, Morikubo, etc...) are found by the program. Have you tried to install them already? I just downloaded News scandinavian buildings directly from his thread and drop it in the package folder and it worked. So what is missing from the professorx_pack.rar is the name of the user that created these buildings in the path. It's not a big deal to download them directly from their respective thread but i would be cool if we could install eveything at once with these packs. So what is missing from the professorx_pack.rar is the name of the user that created these buildings in the path. It's not a big deal to download them directly from their respective thread but i would be cool if we could install eveything at once with these packs. I agree, but I don't really want to distribute all these files if they are avaiable directly since they are not my creation. If model creators want to team up to make such a thing it would indeed make things a lot easier And not just for me, if anyone want to work on an other location, it would be way more simple to say: "to use my Ireland scenery, please install Ultimate_Outerra_community_model_pack.zip v.1.38". One package for all the locations ! My bad, i just failed to properly read the instructions Everything works as intended now. But yeah i think you could include all models you use in your scenery so that the lasy like me could have everything in one clic Or have all models on a separate zip to make it a 2 clics process People would just have to merge folders if they already have models from a specific user. I will be away from my main computer for the next couple of weeks, so there will unfortunately be no update for a (limited) moment.